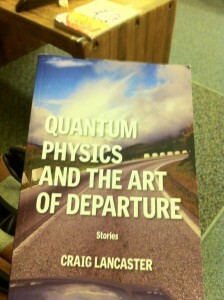 Get your copy of "Quantum Physics and the Art of Departure"! I have not been shy about how much I love Craig Lancaster’s writing. His two novels, 600 Hours of Edward and The Summer Son, simply blew me away. 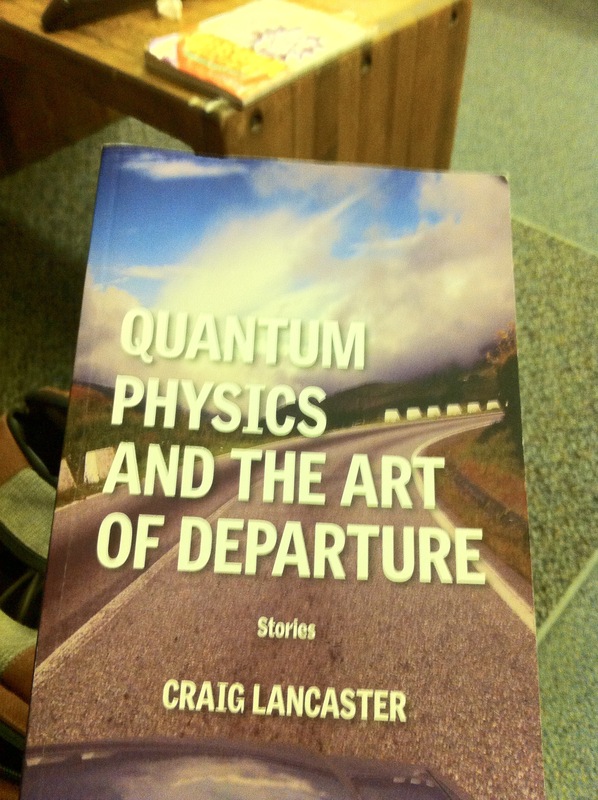 And now, Quantum Physics and the Art of Departure, Craig’s first collection of short stories, goes right up there with his novels. At first I wasn’t sure if I’d enjoy the short stories, since the first one, “Somebody Has to Lose”, moved along slowly. 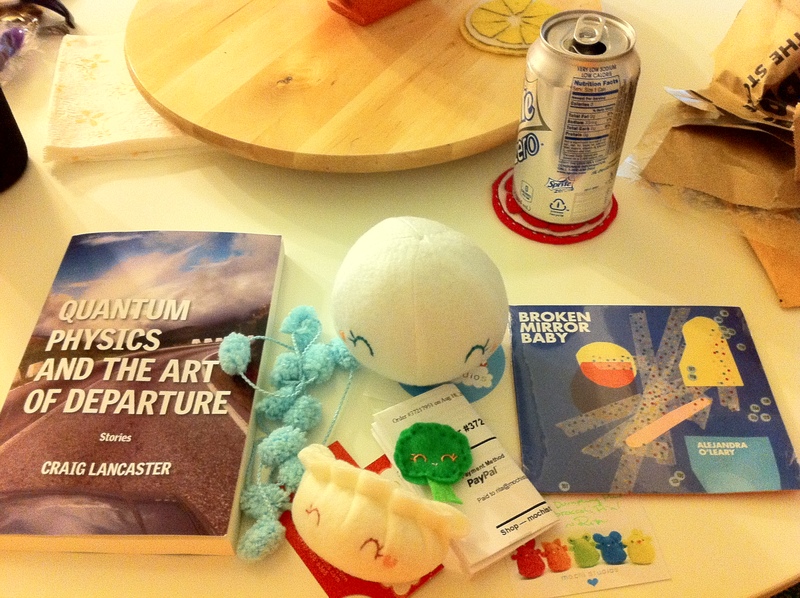 Once I got past a certain point in that story, though, everything began to fly. 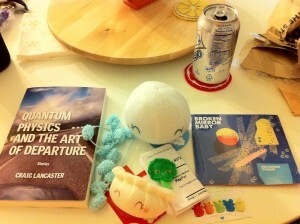 The stories in Quantum Physics are all about very human lives set mostly in Montana. I feel the book proved to the outside world how people in Montana are pretty much the same as anyone else. We all experience the same problems in life, no matter where we may live in this country, in this world. I really enjoyed how unfiltered Craig was in his writing: if you want to read a flowery, family-friendly book, look elsewhere. Every story includes an element we all wouldn’t openly admit in public : affairs, experimentation, sexual abuse, etc. 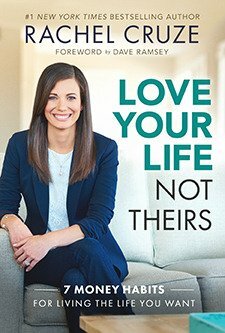 These are touchy topics, but it is refreshing to have these written about in such a matter-of-fact way. My favorite stories out of the collection: “This is Butte. You Have Ten Minutes.”, “Cruelty to Animals”, and “The Paper Weight”. All ten are wonderful to read though. Don’t miss it! Headhunters is quite the thriller. 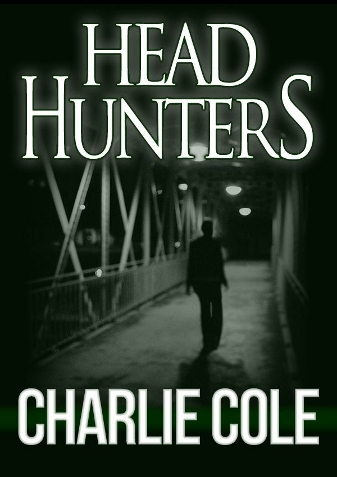 TODAY ONLY: Get Headhunters for your Kindle FREE! There’s a monster at the end of the book, and Charlie Cole sure knows how to work that magic. This is my first time to read any works by Cole, but I already feel that he is an expert writer. I feel honored to write him a review since, in the short amount of time we have known each other (via Twitter), we are becoming quick colleagues. Headhunters starts out with a bang: Simon’s wife Claire leaves him chasing after her in their respective cars. Then, she dives to her death over the railing. And the book continues to spin like crazy, with Simon constantly getting curveballs thrown at him as he moves from the Washington, D.C. area to Chicago. He thinks he’s safe there, but then, the chase continues. Although the subject of the matter is deep and dark (Simon is a secret agent), there are a few times where I end up laughing, i.e., the reference to “literal dead weight”. Also, Cole puts in a quite X-rated scene in the book to lighten things up a bit. I almost felt ashamed while reading that aspect. But then the thrilling parts came back again. I normally wouldn’t read a book so suspenseful/thrilling/disturbing, but I really enjoyed Headhunters. 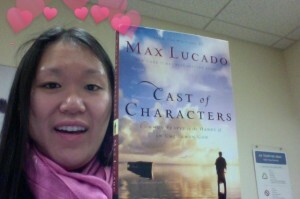 I practically could not put it down the whole time. 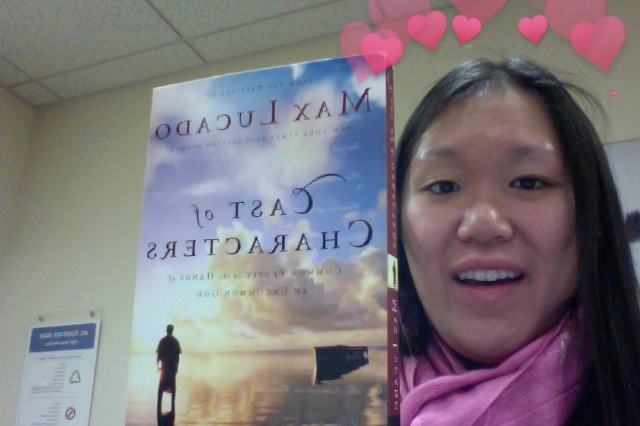 Too bad I have classes…I could have finished this book in less than a week. Next time, perhaps? (I love speed-reading but not when there are a billion other things to complete). 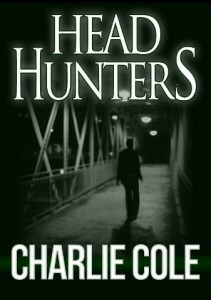 If you like a ton of suspense, mystery, action: read Headhunters. You won’t be disappointed. And look out for Cole’s next novel, Suicide Doors, coming out in April. What a refreshing voice to listen to; Alejandra O’ Leary is a Michigan-based artist with musical influences from the Beatles. I’m sure there are other artists that influence her style, but, as I listen to her album, “Broken Mirror Baby”, I get the Beatles vibe. “Broken Mirror Baby” was released in September 2011 and is Alejandra’s second album. I had the pleasure to interact with her a lot via Twitter, so I know she is a hard-working and sweet person. 1. @ the club – The song starts out innocently enough with Alejandra’s crisp vocals; in fact, the song almost appears like a happy one. Listen to the lyrics and you’ll realize the sad theme of a man cheating on his girlfriend. 2. K.Y.O. – I wondered what the title of the song meant, since I hadn’t seen that acronym before. The song starts off with a nostalgic guitar medley, making me think about 1960s rock bands. As the song’s chorus comes along, you’ll discover what K.Y.O. means. Clever! 3. When Will They Learn? – This song is a little more laid-back/casual from the first two. Sounds like a song from the 1980s, which I like. 4. On Your Dime – First Beatles-reminiscient song of the album. A little sunshine, a little melancholy. 5. Connect with Me – Also Beatles-reminiscient. Love the casual ballad feeling of the song & the guitar solo in the middle (this part DEFINITELY made me think of the Beatles). A little sad to realize the woman is an alcoholic. 6. Broken Mirror Baby – LOVE THIS SONG. It is my favorite of the album; a good mix of retro and modern feel. The bridge really keeps me hanging onto the rest of the song. This song is good for when you’re angry with a significant other or ex. 7. Horses – Synthesizers, commence! You might think it’s a completely synthesized song, but Alejandra and her band jump right in after the opening. I like how she incorporates “hold your horses” into the chorus. Although the album is short and sweet, I love it: just the right number of songs to enjoy. Would like to see a few more songs on the next album, if time permits! Overall, I love Alejandra and her songs. I look forward to seeing her career blossom and hopefully meeting her in-person one day.